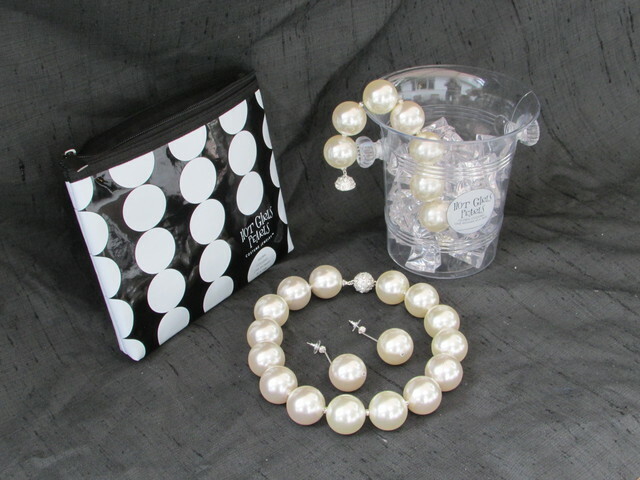 The oversized pearls are filled with nontoxic cooling gel; these elegant pieces get arctic cold in the freezer. Then, they stay nice and icy cool on you! The bag is insulated and includes a freezer gel insert, to keep your jewels cold until you need them. Who knew hot flash relief could look so good!